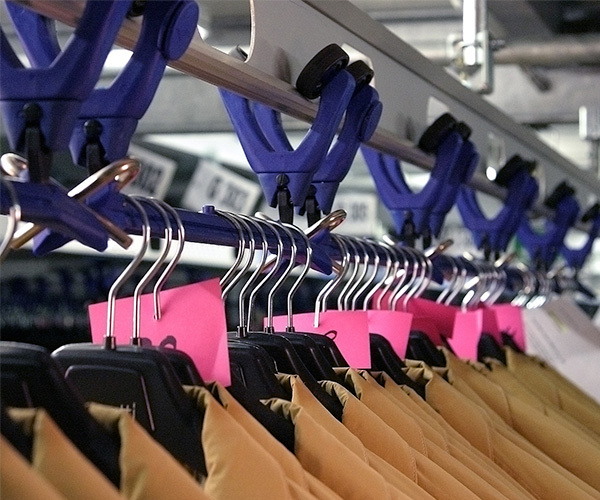 T-200 garment rail systems maximizes productivity for manufacturers, distributors, laundries and retail industries. T-500 V-rail features a centrally suspended trolley. 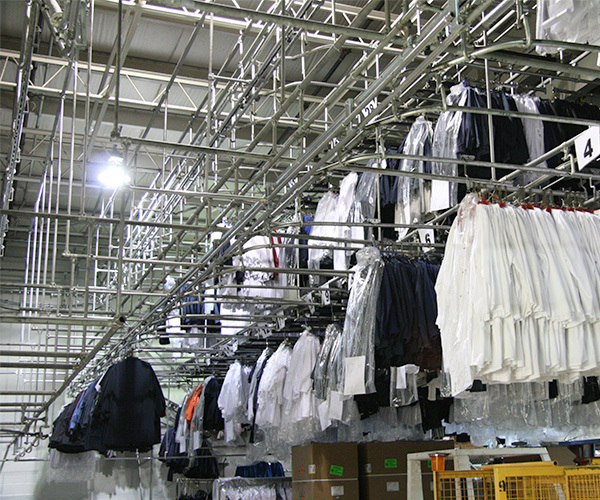 Static storage rails maximize garment on hanger (GOH) storage economically and efficiently. 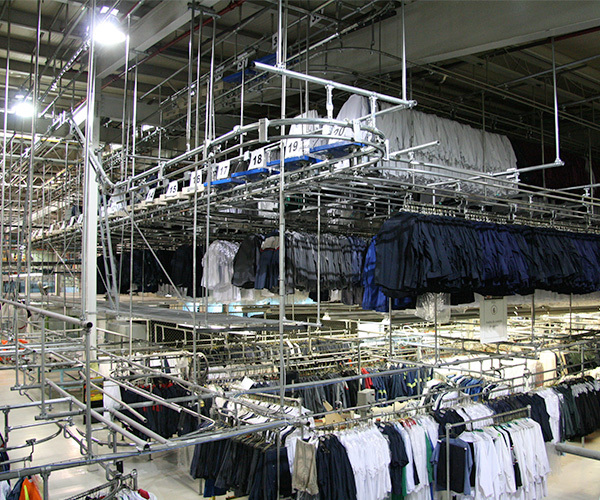 Garment rail systems by SRS feature automatic loading and unloading of garments, while maximizing your use of overhead storage space, reducing your footprint and minimizing power requirements and costs. 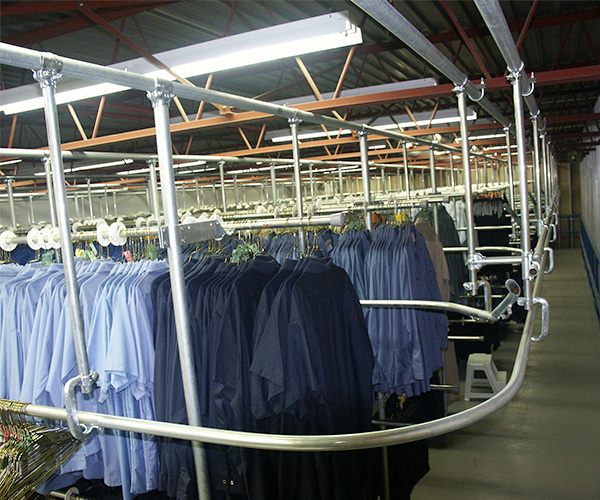 Garment rails are part of the collection of standard components designed exclusively for SRS systems. 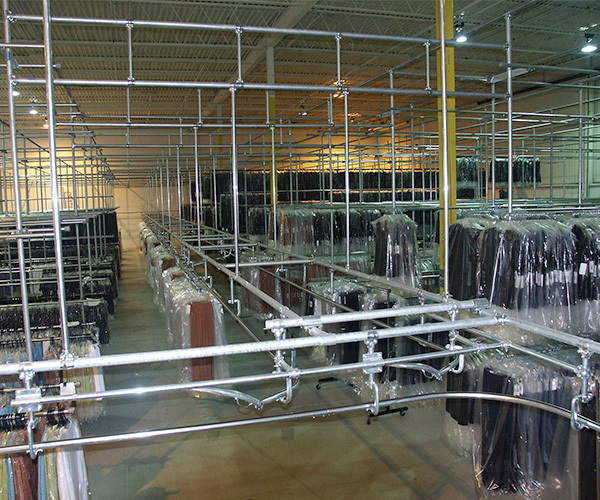 Since 1962, SRS has been a leader in the engineering and manufacture of Garment Rails (GOH) Systems. 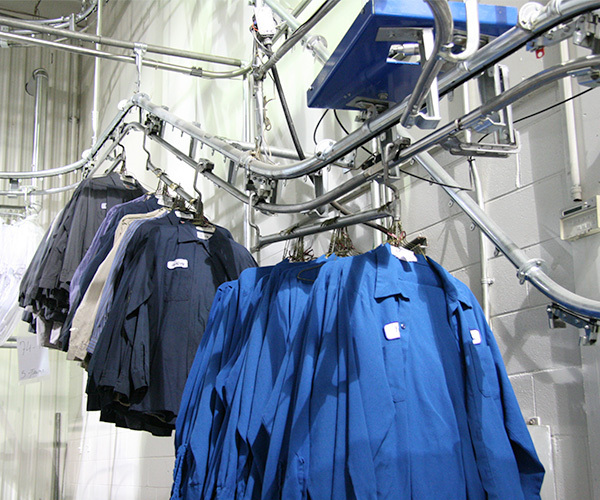 Let our team of experts engineer solutions for all your Garmet Rail hang-ups.